The world’s largest Doulton vase is on display at WMODA. It stands 6 feet 4 inches tall and was commissioned by the Gaekwar of Baroda, an Indian prince who was the sixth richest man in the world in the 1890s. 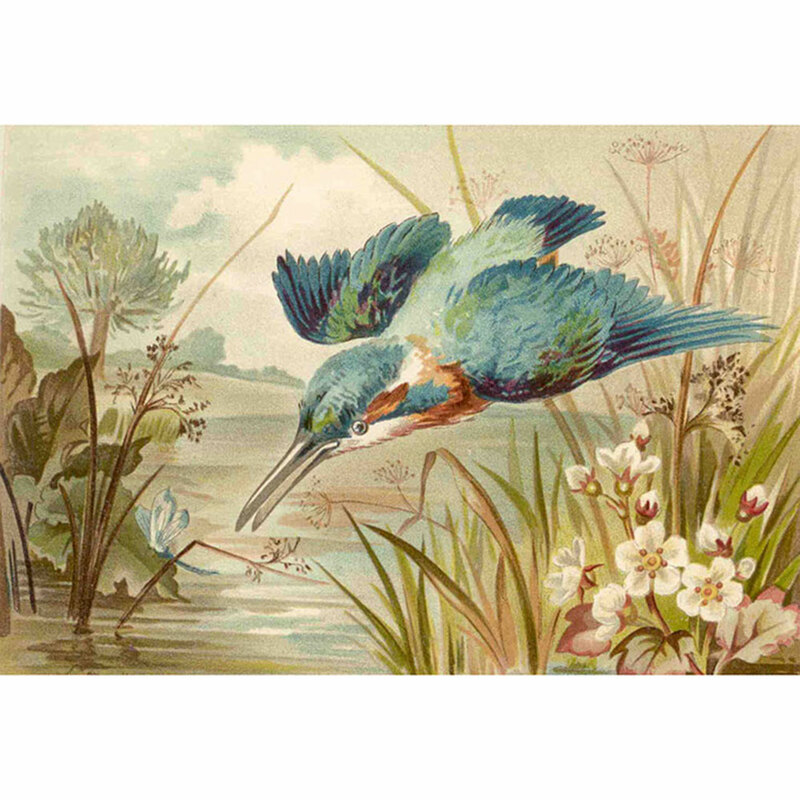 He came regularly to London to shop and was a great admirer of Doulton’s Faience wares made at their Lambeth studio. 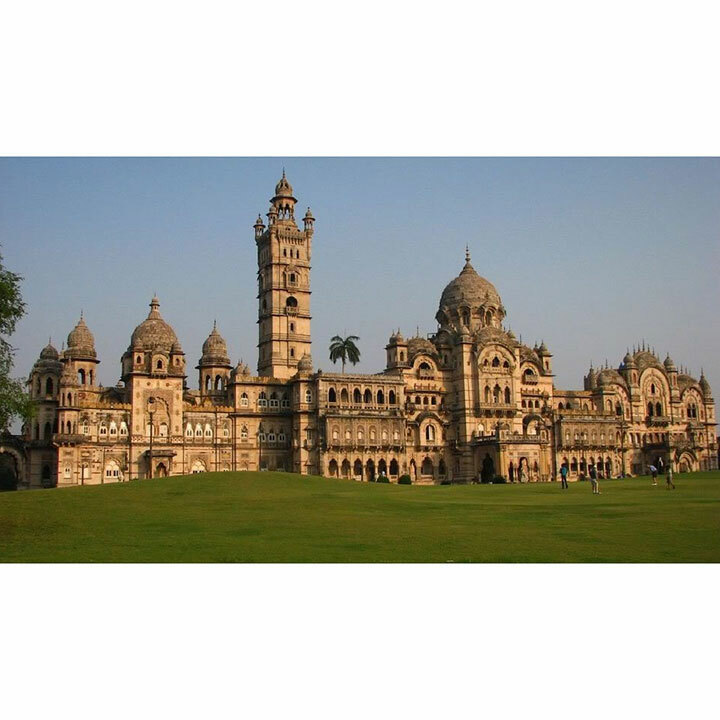 The prince ordered several Doulton masterpieces for his new palace in Baroda, two of which are on display at WMODA. 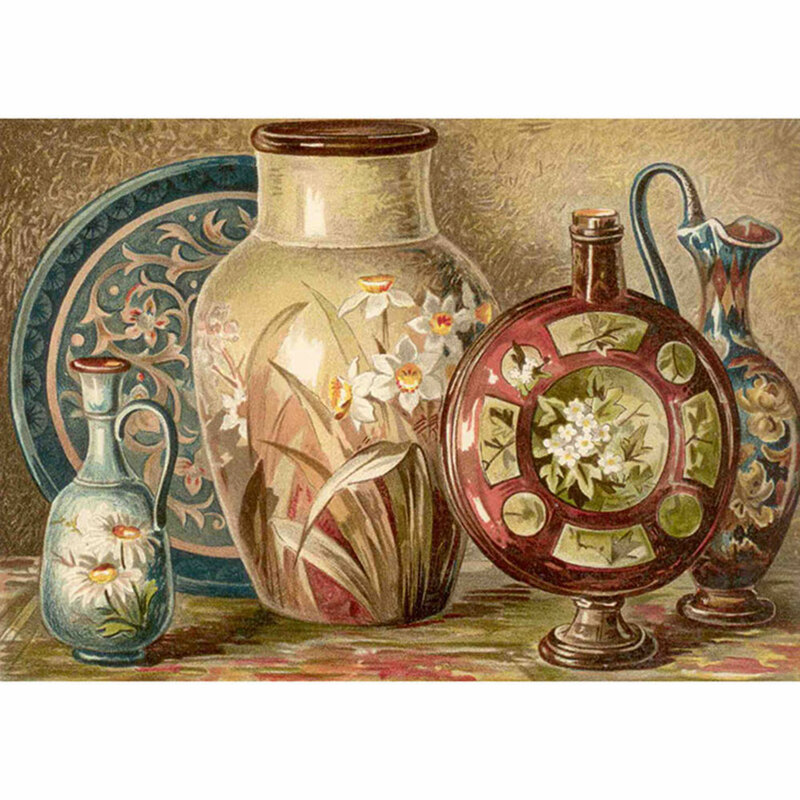 The monumental Doulton vase features a profusion of exotic flowers and palms painted in golden tones by Miss Florence Lewis, the head artist in Doulton’s Faience painting department. When the Gaekwar’s commission vase came out of the kiln, it was found to have some slight firing flaws in the glaze so Sir Henry Doulton shipped it instead to the 1893 Chicago World Fair where it was the crowning glory of their exhibit. A second vase was made for the Maharaja Sayakirao Gaekwad III, which is believed to be the one now at WMODA. It is not clear whether the Gaekwar’s commission ever made it to India as research requests to the Baroda archives have drawn a blank so far. 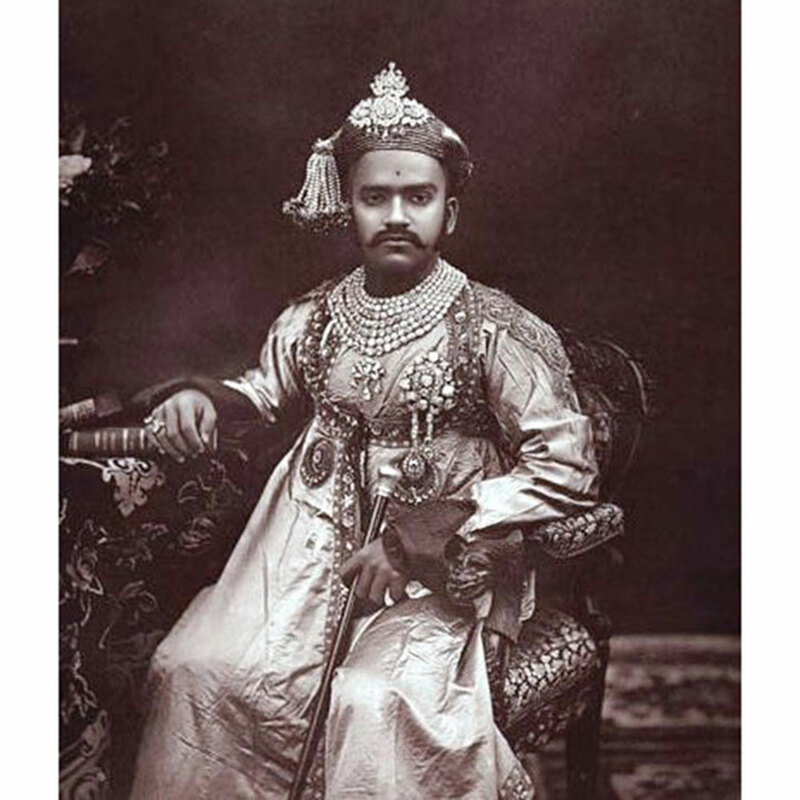 When his new Laxmi Vilas palace was completed in the 1890s, it was the largest private dwelling ever built and was four times the size of Buckingham Palace. 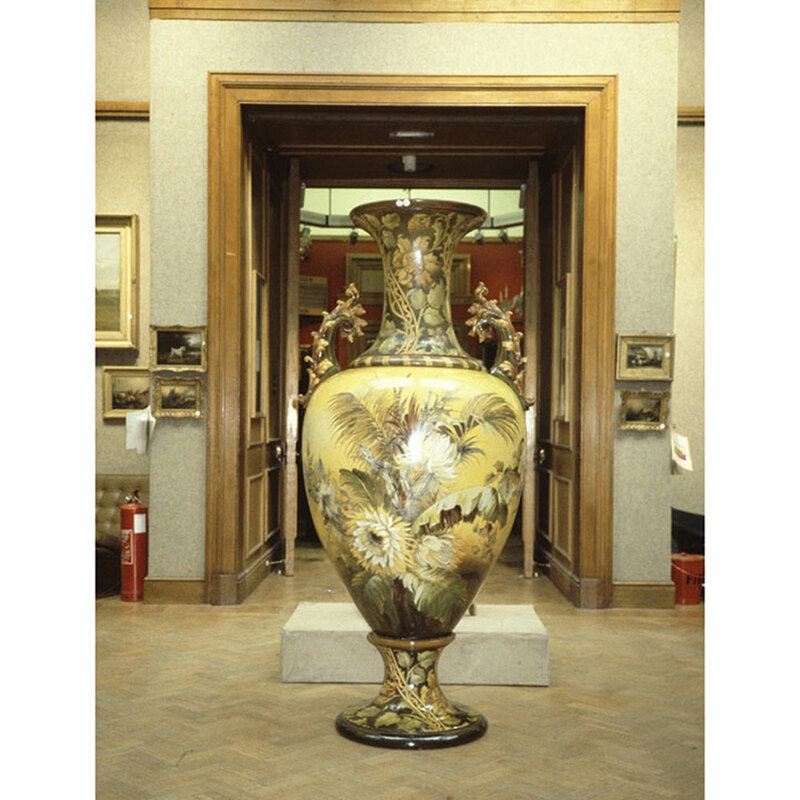 The gigantic Doulton vase came up for auction at Christie’s of London in 1986 and caused a sensation when it was sold to an anonymous bidder for the world-record price of £31,668. Recently, we discovered from Skinner’s auctioneer Stuart Slavid that it was purchased by the Warner LeRoy family, who owned the Tavern on the Green in Central Park, NY. Does anyone have a photo of the vase in this setting before it was sold in 2009? The vase was auctioned again at Skinner’s in Boston in 2011 and acquired by Arthur Wiener. For some years, it was displayed in his Hamptons home before coming to WMODA where it astonishes visitors in the reception area. 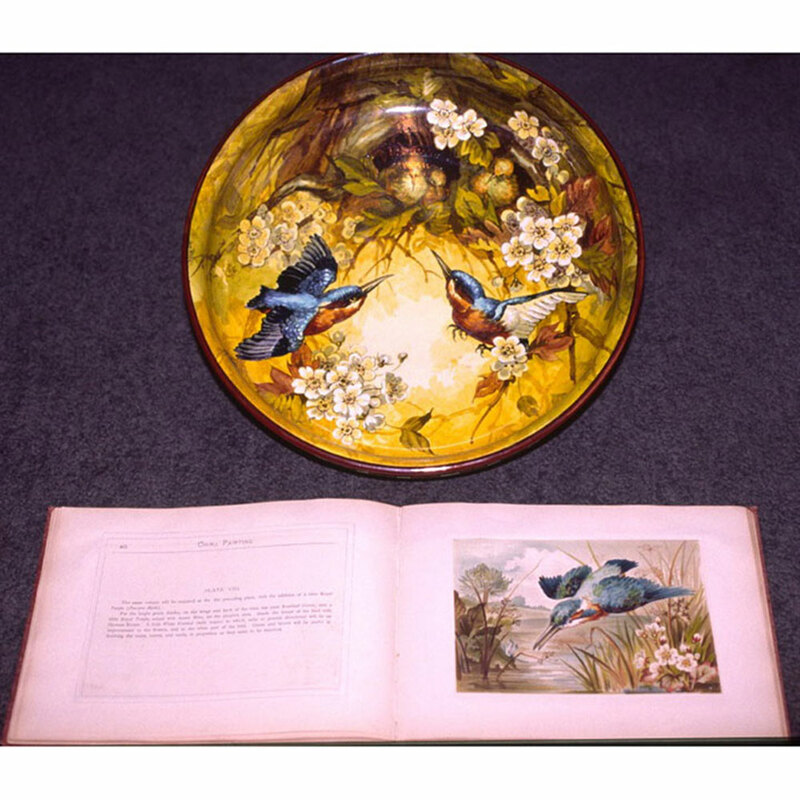 The original vase, that was shipped to the 1893 Chicago World Fair, contributed greatly to Doulton’s phenomenal exhibition success. Chicago was a triumph for Sir Henry Doulton, who challenged his artists: “Be first or not at all, for to be second is to be nowhere”. They certainly marked his words with their exhibits which won seven awards, more than any other potter. The centerpiece was sold to the ladies of the North Western University Guild at the end of the exhibition. 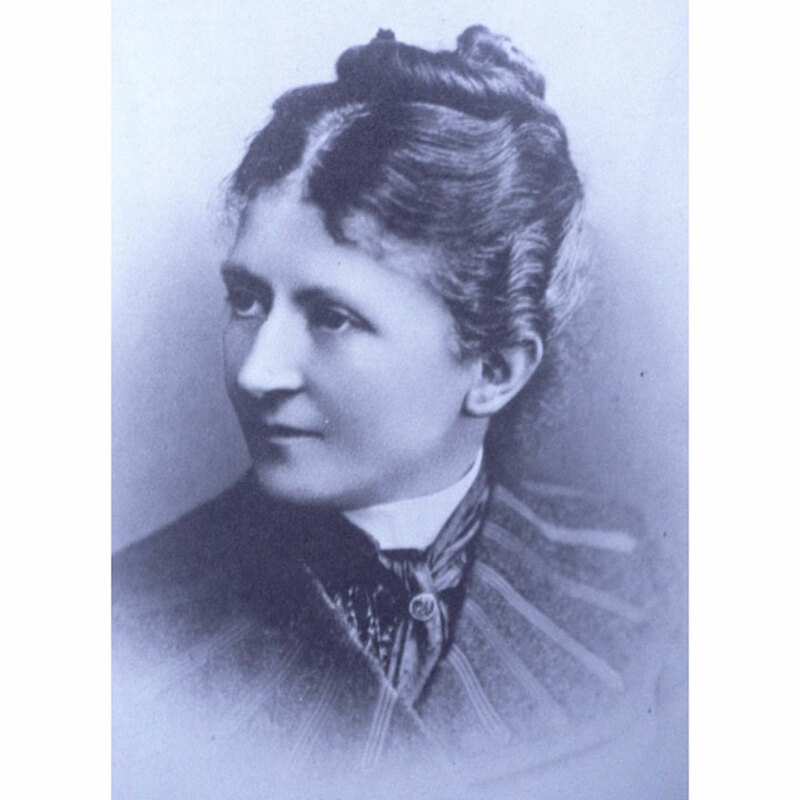 The Guild was founded in 1892 to promote art in the university and the community and the founding ladies raised money to beautify the campus. Their impressive pottery and porcelain collection was started with treasures from the World Fair and they negotiated some great bargains from the overseas exhibitors so that they did not have to pack and ship their pieces home. 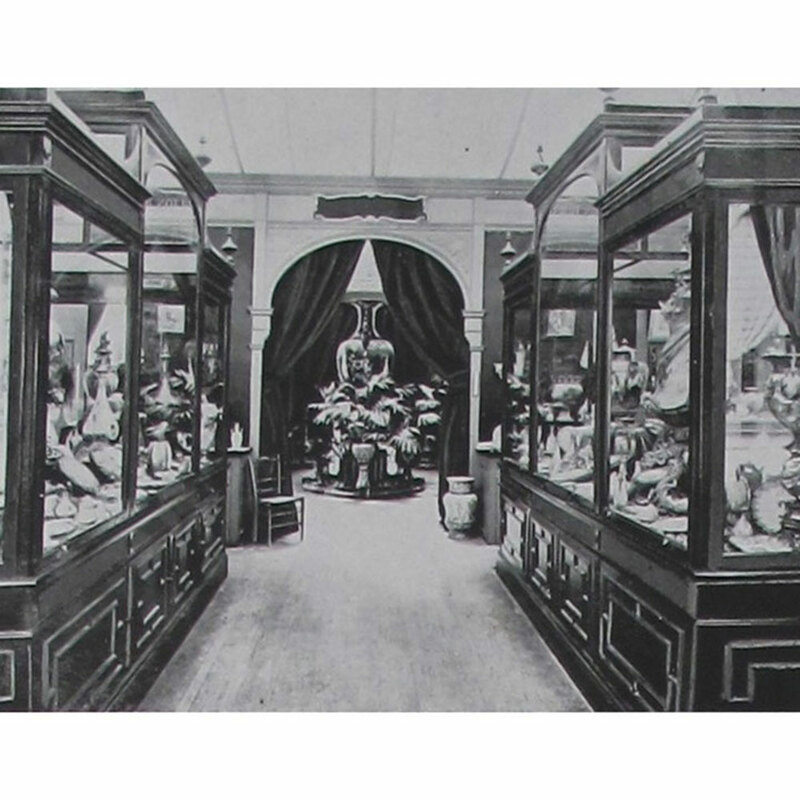 It is recorded that the ladies visited the Doulton pavilion 23 times throughout the exposition and that the representative, Mr. Ford, was no less charming on their last visit as on the first! 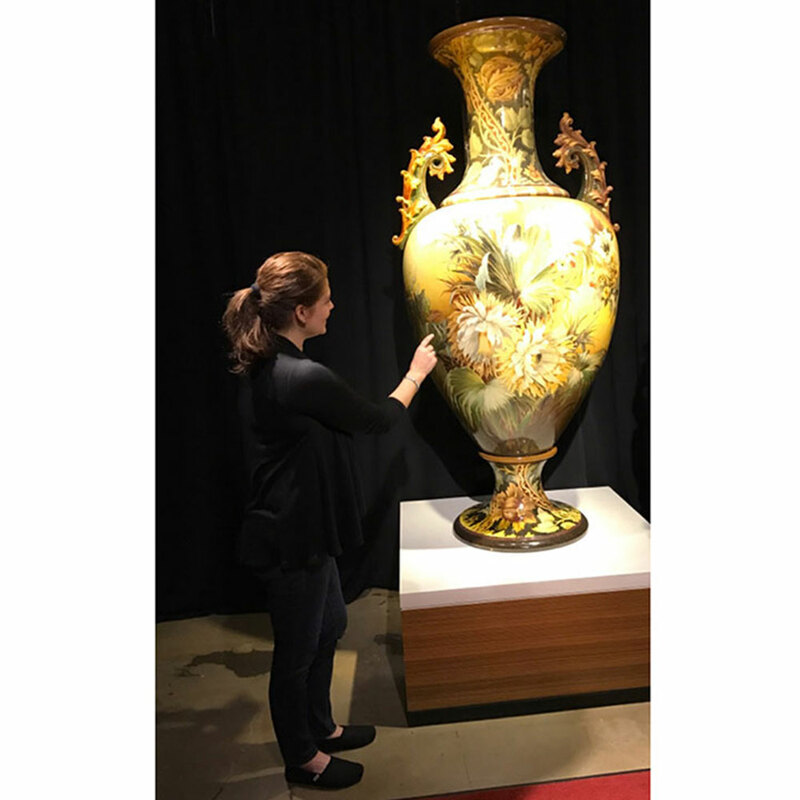 The monumental Doulton vase was priced at $6,000, a staggering sum at the time, but the shrewd ladies acquired it for just $500 plus duty. 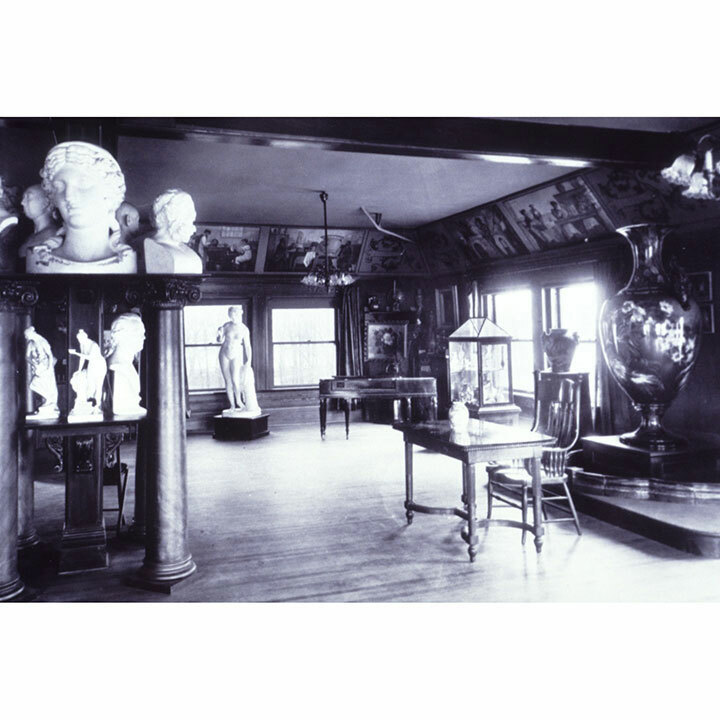 For many years, the pride of the Guild’s collection was displayed in their lounge at the Lunt Library but it was crated up when the university needed more space in 1915. 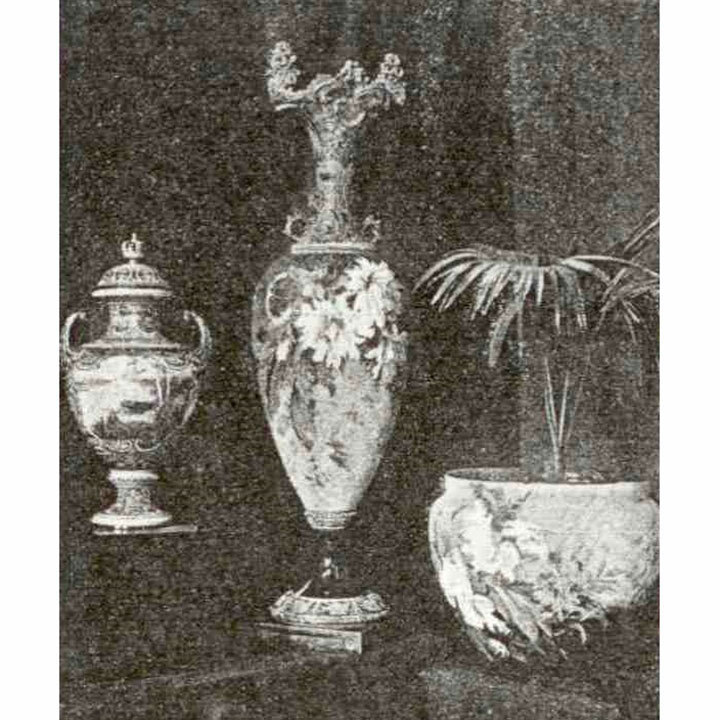 Together with other World’s Fair acquisitions, the vase was donated to the Museum of Science and Industry in 1940 where it languished in their basement for many years. At the museum’s 50th anniversary in 1983, visitors could view parts of the vase highlighting the processes involved in creating this monumental manufacturing feat, which weighs in the region of 500 pounds. The baluster shaped vase was wheel-thrown in three parts: the neck, the body, which is 2 feet 6 inches in diameter with two handles attached at the shoulders, and the foot. 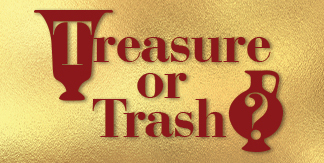 Negotiations to loan the vase back to the Guild took place in time to celebrate their 95th anniversary and I had the honor of unveiling the vase at a gala event in 1987. The Chicago vase is now back at the Museum of Science and Industry where it can be seen today. The talents of Miss Lewis can be appreciated also in a second vase made for the Gaekwar, which is on display in the Royal Doulton Gallery at WMODA. This vase, which stands 4 feet 6 inches tall, was designed by Mark Marshall and painted with tropical flowers by Florence Lewis. The Doulton Lambeth factory also made a salt-glazed stoneware playing fountain for the gardens of the Gaekwar’s palace and painted several other Faience vases and jardinières. One day, we hope to discover more about the history of all these works of art originally destined for India.